Representing your country in an international event is one of the highest achievements someone could ever have in his/her life. 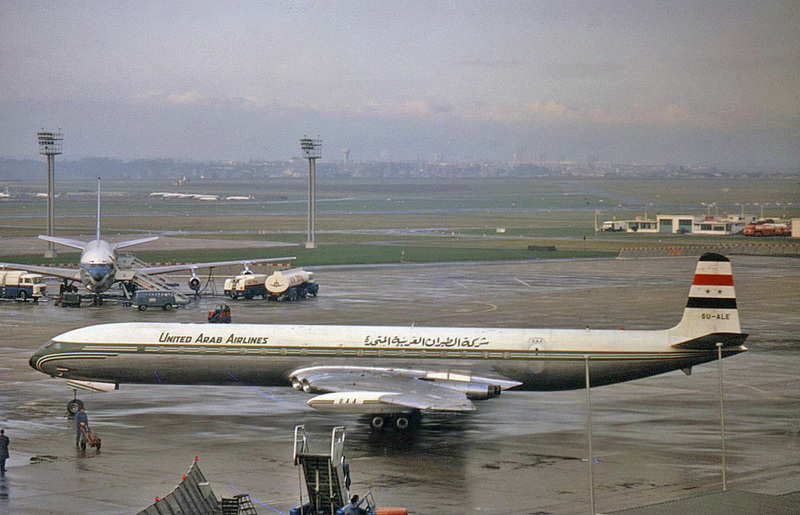 Back in 1963, 24 Filipino boy scouts boarded United Arab Airlines Flight 869 from Tokyo, Japan to Cairo, on their way to attend the 11th World Jamboree in Marathon, Greece. The said flight had three scheduled stopovers: first at the Kai Tak Airport in Hong Kong, second at the Bombay – Santa Cruz Airport in Bombay (now Mumbai), India, and third at Bahrain International Airport in Manama, Bahrain before it heads off to its final destination at Cairo International Airport in Cairo, Egypt. But while trying to land at its second stopover at 1:46 am on July 28, 1963, the de Havilland Comet aircraft used for the flight encountered severe turbulence as it was preparing for descent to the airport in Bombay. Just a few minutes later, at 1:50 am, the aircraft crashed into the sea just 10km away from the airport. There were no survivors. The world grieved the loss of 63 lives on the flight but the Philippines took a huge hit as the airplane was carrying 24 scouts on the way to the Jamboree. 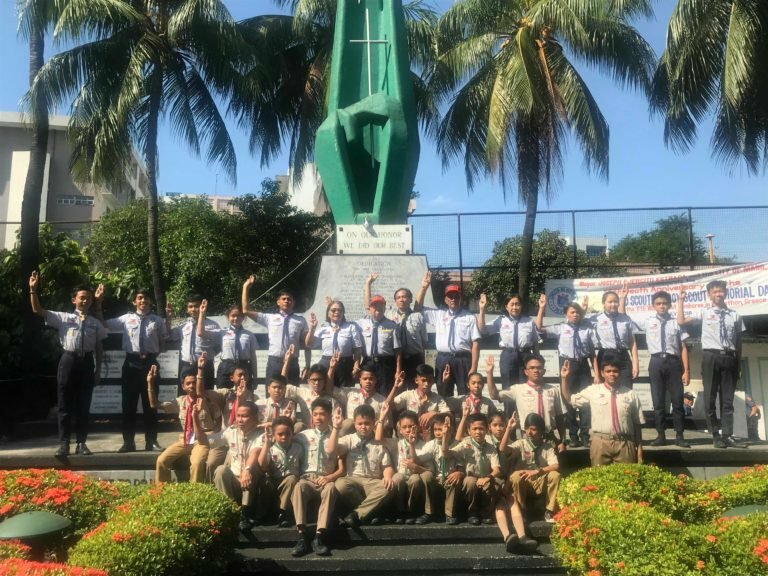 Fifty five years later, the Boy Scouts of the Philippines (BSP) continue to honor the late scouts at the cenotaph made in their honor at the Manila North Cemetery. On All Saints’ Day, several members and leaders of the BSP Quezon City Council visited the cenotaph to honor the late scouts. While the incident happened a long time ago, it remains fresh in the hearts of their relatives. 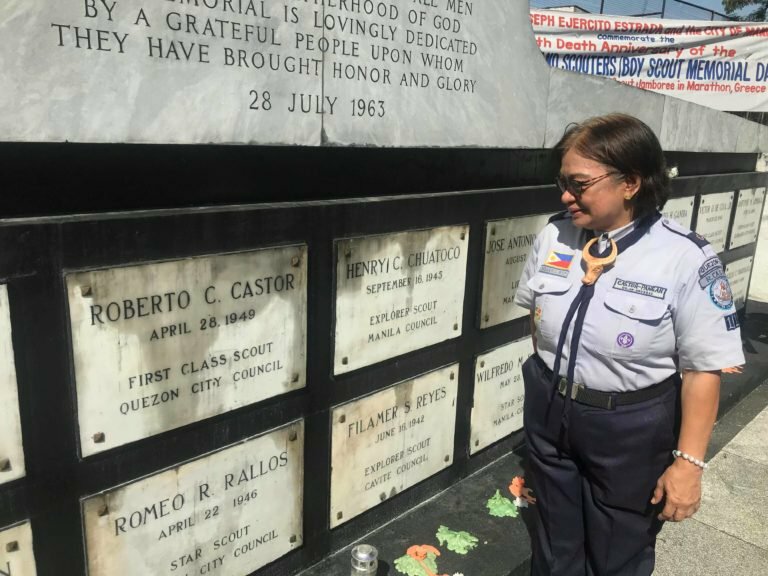 One of them is Fe Castor-Pangan, a Board Member of the BSP Quezon City Council who happens to be the younger sister of one of the late scouts, Roberto Castor. She told the Inquirer that she was just 11 years old when her 14-year-old brother excitedly went off to attend the World Jamboree. It was a wonderful moment for the third-year high school student who was among the chosen few who passed the strict screening process. “Hindi ko makakalimutan noong sumasakay po sila sa eroplano, nagwe-wave po sila. Bawat isa sa kanila, talagang excited sila,” Castor-Pangan shared. Little did she know it was the last time she would see her elder brother. Though her brother died while on his way to a scouting event, this did not stop her from walking in his footsteps. Three years later, she was awarded the Outstanding Girl Scout award in Quezon City. Today, she remains an active member of the Girl Scouts while also serving as Board Member for the Boy Scouts. For Castor-Pangan, her brother’s death was not in vain as he and the rest of the scouts serve as inspirations to the youth. “Sila po ay hindi lamang po maipagmamalaki ng buong Pilipinas, kundi po sila ay inspirasyon ng mga kabataan,” she declared. Aside from the cenotaph, 24 streets in Barangay Laging Handa, Quezon City were named in honor of the fallen scouts.